“Concert For George”, a 2002 tribute event in honor of George Harrison, will be reissued on Friday, February 23 to mark the late Beatles guitarist’s 75th birthday on February 25. Organized by Eric Clapton and Olivia Harrison, the November 29, 2002 show at London’s Royal Albert Hall landed one year to the day after Harrison’s passing from lung cancer at the age of 58. 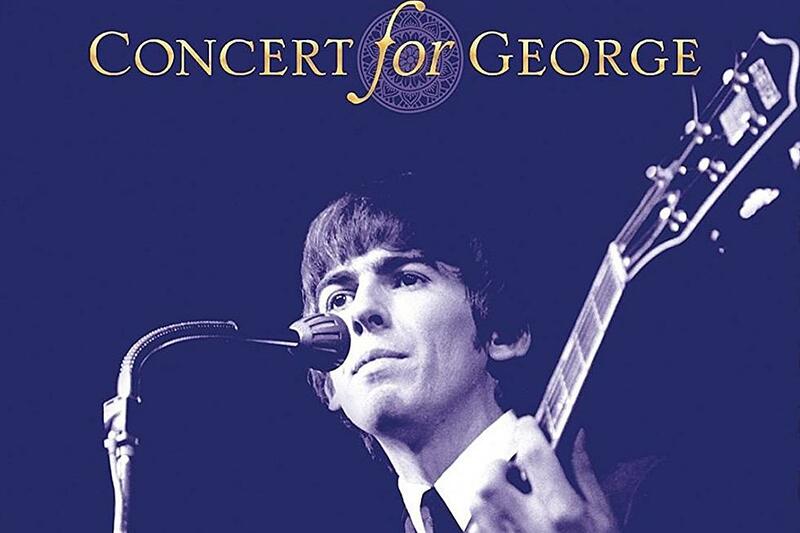 The evening featured George's songs, and music he loved, performed by a lineup that included Clapton, Joe Brown, Dhani Harrison, Jools Holland, Jeff Lynne, Paul McCartney, Monty Python, Tom Petty, Billy Preston, Ravi and Anoushka Shankar, Ringo Starr and many more. Presented in a 12” by 12” hardbound book, the Deluxe Box Set – limited to 1000 copies worldwide – features the complete sound and film recordings from the concert on 4 180-gram audiophile LPs, 2 CDs, 2 DVDs and 2 Blu-rays, plus an opportunity to own a piece of the historic event, by way of a cutting from the original hand-painted on-stage tapestry used as the backdrop at the show.